Some pet owners will become used to the hair shed from their animals over time. This can lead to them being less inclined to clean surfaces around the house as often. Owners should be careful not to let this habit develop into too high a level of tolerance for the mess created by their pets. Though you might be used to seeing strands of hair on your couch and upholstery, guests, family and friends many not be. Some people are even allergic to hair or small stands that can enter the respiratory system. So, it is important when you host company to ensure your carpets and seated areas are as hair free as possible. Especially if you your guests do not keep pets themselves. If you let hair build up on your sofa, it can come off on your clothes. If you ignore this, you can be left in situations when outside the home, others notice your pet's hair on your person. The only way to prevent this is to have a regular thorough clean of your carpets and sofa to ensure hair build up is kept to a minimum. 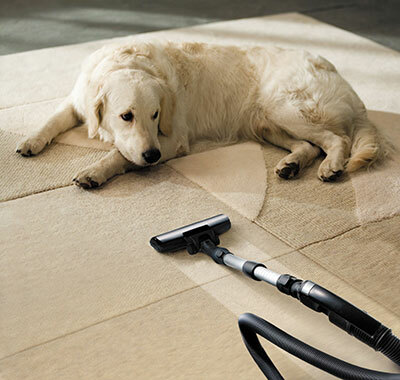 Our professional carpet and upholstery cleaning services include thorough pet hair cleaning, and will ensure your seating areas and furniture are as hair free as possible. Dirt and strands will be removed more capably than you could ever do on your hands and knees, and your home will be made perfectly hospitable. Contact us any time!